Phase 1 and Forman Park included similar green infrastructure and were completed in 2011 and 2013, respectively. 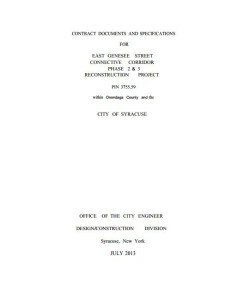 Phases 2 and 3 of the Connective Corridor were constructed throughout 2014 and 2015. 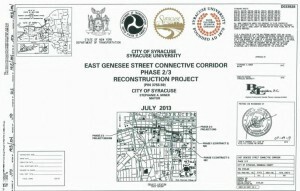 The project exemplified the continued partnership of Onondaga County with the City of Syracuse and Syracuse University. 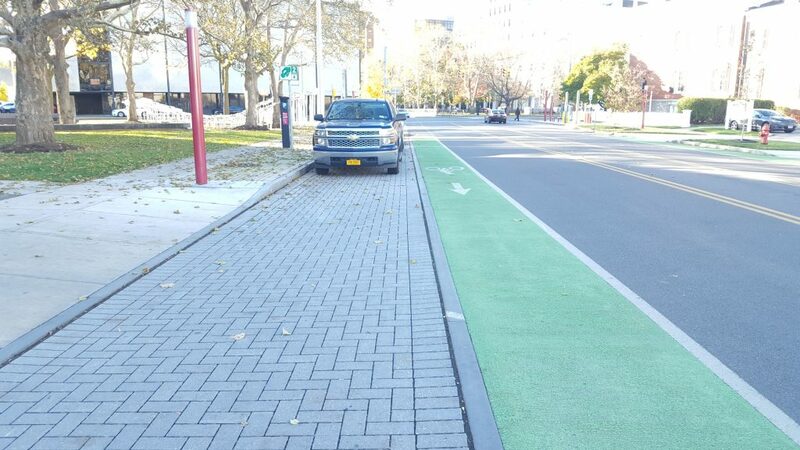 The green infrastructure installed on the project includes porous pavers in parking lanes and snow storage areas, tree pits, and underground infiltration trenches. 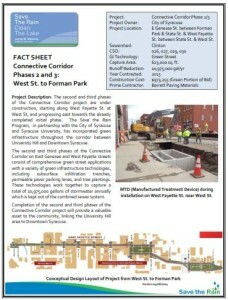 Also included in the project is the manufactured treatment device providing water quality treatment for the West Fayette Street Sewer Separation project that was completed in 2013. 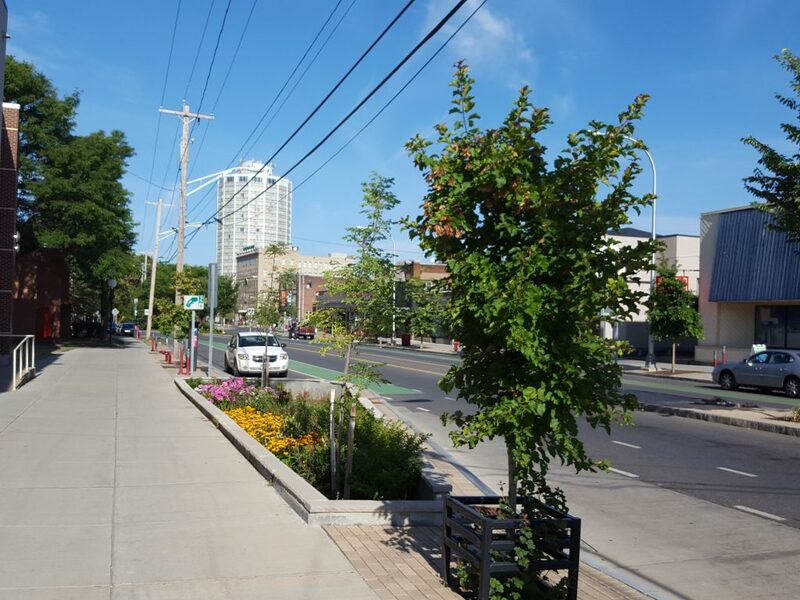 The green infrastructure installed on Phases 2 and 3 of the Connective Corridor captures runoff from streets, adjacent hardscapes and upstream areas; a total of 623,000 square feet of drainage area. This equates to an estimated 10,975,000 gallons of stormwater capture annually, making this project one of the largest projects in the Save the Rain Program to date. 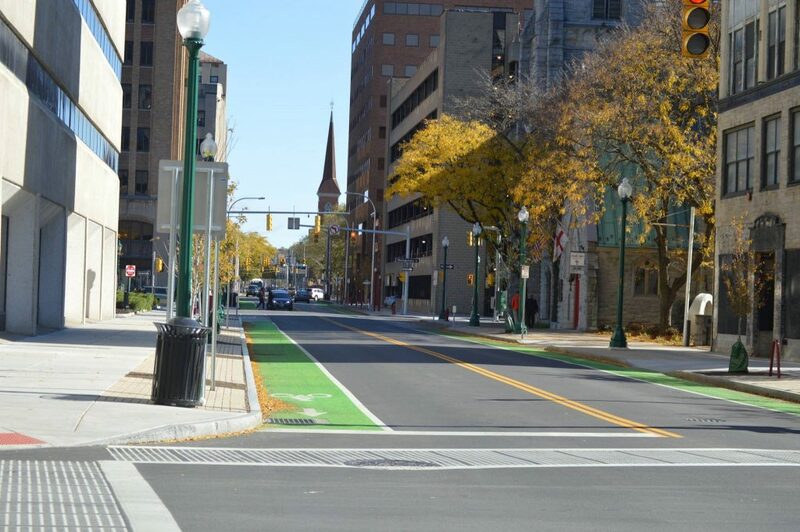 In addition to providing significant runoff reduction for the Save the Rain Program, the Corridor also creates a valuable link between the Downtown and University communities. 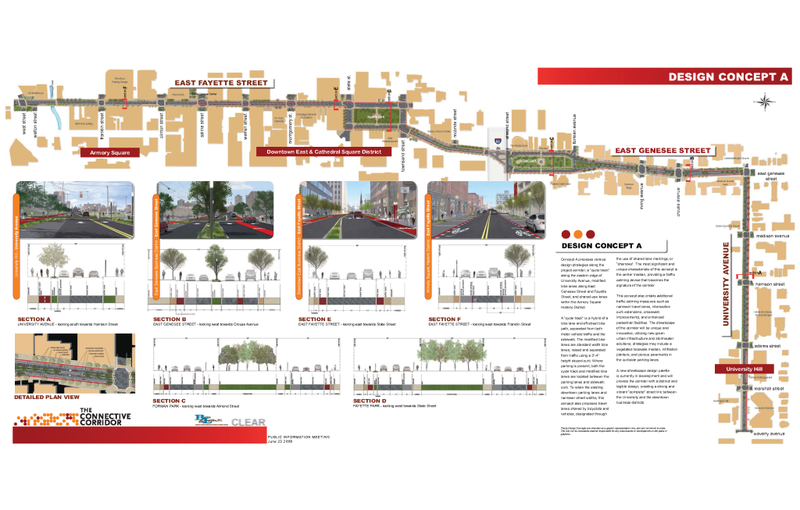 In total, the three phases of the Connective Corridor capture an estimated 26 million gallons of stormwater annually.